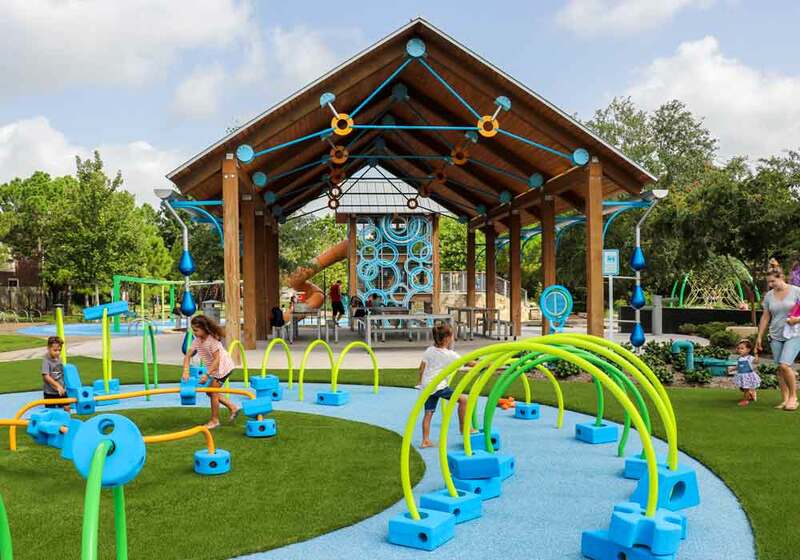 The Best Parks in Katy, Texas! Here at Kids Healthy Teeth Pediatric Dentistry, we care about the health and happiness of our young patients and their families. Part of a balanced, healthy lifestyle is making time to be physically active and getting some fresh air and sunshine! Katy, Texas is a beautiful place to live, play, and raise a family. Here is a list of some of the best parks to spend a free day at in Katy! Exploration Park, located on Cinco Park Road, has everything your kids could want for a fun-filled, active afternoon! The park features lots of play equipment like slides, swings, and other structures to climb and enjoy. Your child will have a great time playing with all of the brightly colored and stimulating equipment. This park is fairly new, and we here it rarely gets overcrowded. Sounds great to us! Malcolm E Beckendorff Family Park is another great park for parents to bring their young children! The playground is divided into two areas, one geared toward smaller children and another geared toward older kids. Both areas are very easy to see, so parents can keep an eye on their kids while they play. The big kid area also has a TON of slides! In addition to the playgrounds, the park features a beautiful trail and lots of shade, so it is perfect for those sunny Texas days! Fort Bend MUD Recreation Park, located on Cactus Bloom Lane, is one of the newer neighborhood parks here in Katy. The park features rubber floors instead of sand or dirt, so this is the perfect place to take your kids if you don’t want to worry about them getting their clothes too dirty! There is plenty of play equipment, including some super fun spinning options for the daredevils out there. Katy Park, located on Morton Ranch Road, is extremely spacious and features sports fields, a play area, a gazebo, and a pavilion that community members can rent out for events! Reserving the pavilion requires a $125 deposit, which will be returned to you once the recreation staff is able to verify that the space has been left in good, clean conditions. The pavilion features a sink with running water and a charcoal grill, so consider renting it out for your next barbeque! We hope you get a chance to check out some of these awesome local parks with your family very soon. Consider taking your kids to their favorite park after their pediatric dental appointment as a reward for good behavior! If you’re ready to schedule your child’s next dental appointment, call our office today!